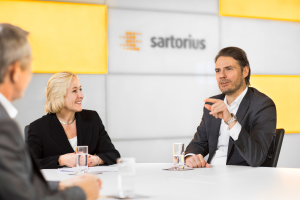 Pearson: Sartorius Stedim Biotech is a recognized leader in single-use technology, and you’ve recently introduced a campaign focusing on automation, biocompatibility, integrity and the supply chain; why these areas? Schlack: These are the main gaps, particularly with commercial-scale single-use manufacturing. For example, regarding biocompatibility, extractables and leachables can cause problems, such as those with cell growth. If just one parameter changes, either in the resin formulation or the manufacturing process, this might alter the extractables and leachables profile. In fact, Amgen has published data on cell growth problematics caused by this issue. Gaps in automation include poorly performing sensors and actuators particularly in combination with from-scratch engineered equipment. It takes time and effort to do software coding and integrate such equipment into SCADA systems. By redefining our products and solutions revolving around automation, biocompatibility, integrity and supply chain, we are closing all of these gaps simultaneously and creating, with that, the foundation for end-to-end single-use manufacturing. Pearson: Regarding end-to-end single use in bioprocessing: What’s driving this change in the biopharmaceutical industry? Schlack: Market trends and the resulting business drivers are behind this. The biopharmaceutical market is growing, and the trends are moving toward producing many different types of drug classes with new biologics that are becoming popular, such as antibody–drug conjugates and cell and gene therapies. Our customers hardly focus on just one drug class alone, and most have a diverse portfolio. Although there is now more pressure on lowering the price of biologics, there is increasing competition from biosimilars. At the same time, biopharmaceutical company’s are uncertain of their product efficacy in trials and of later commercial success once their new drugs are approved. Business Drivers — Cost, Speed, and Flexibility: In the past, there were just three markets for biopharmaceuticals: the United States, Europe, and Japan. In the future, there will be over 50 markets, which could lead to more local manufacturing, and China is pushing fast into this area. This means that it’s more vital than ever to be first to market and is resulting in three main business drivers. Cost is one, and biopharmaceutical companies are aiming to reduce their capital expenditure and manufacturing costs by up to 90 percent — yet still want to increase their manufacturing capacity. It can cost around 800 million euros to build a traditional stainless steel facility, but a single-use manufacturing plant is one tenth of that price, so it makes sense to switch to single use. Also, in the past if a drug didn’t get market approval, companies were left bearing the burden of all the money they had invested. With single use, companies can reduce that risk. 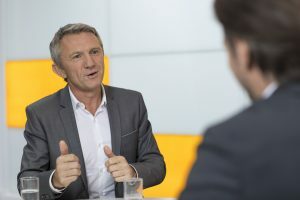 The second driver is speed, not just speed to manufacture, but also speed to build new capacity, and biopharmaceutical companies want to increase their response times by up to 70 percent. Flexibility is the third driver, meaning that facilities aim to reduce product changeover time by 90 percent. Quality of products and manufacturing robustness needs to be improved by tenfold and waste associated with non-quality issues has to be cut by 90 percent. Based on these drivers, BPOG (the BioPhorum Operations Group) has developed a Technology Roadmap and indicated that single-use technology could help to overcome many of these issues. It’s not good enough anymore for a company to develop a good molecule. Rather, commercial success will depend on how well that company manages the cost, speed, and flexibility of its manufacturing. Pearson: Which technologies has SSB recently introduced, and how are you developing your portfolio of single-use products to rise to the challenges of this shifting landscape? Schlack: The search for new and better technologies continually drives us forward. Besides focusing on biocompatibility, integrity, automation, and the supply chain with our single-use products, we are also making great progress in intensified processing. With our single-use 2,000-L BIOSTAT STR® bioreactors and ATF (alternating tangential flow) tools, created in partnership with Repligen, we are seeing similar productivity comparable to 15,000-L fed-batch bioreactors. With our 500-L BIOSTAT STR bioreactors, we are achieving 240 million cells/mL, and this is why we acquired KSep because theirs is the best technology for harvesting this kind of cell density. Also, in upstream processes, we have introduced the ambr® 250 high-throughout perfusion parallel bioreactor system to automate development of control strategies and formulas for intensified processes. We still have one remaining gap: downstream capture. But we are going to close that in 2020 with game-changing technology. Pearson: Biocompatibility of materials for single-use technology has long been a concern for biopharmaceutical manufacturers. Can you explain what SSB means by biocompatibility? active ingredients and the drug formulation in single-use materials, as well as the potential release of particles, extractables, and leachables into the process and final product. Particles, extractables and leachables are inherent to the process — you cannot avoid them. This means we have to characterize, control, and validate them. For example, when it comes to extractables, only a complete understanding of raw materials, resins, films, and the manufacturing process will enable us to thoroughly characterize them. Once we have characterized the extractables, we have to control our materials and processes so that they are the same lot after lot and so that the single-use product always yields the same extractables profiles. It’s the same with particles: They are generated by the manufacturing process, by components, and by human interactions. We cannot prevent them, but we can control them and give meaningful information to customers in terms of what level, size, and type of particles are present. Pearson: Because you are a leading supplier to the biopharmaceutical industry, your customers demand high standards. What actions do you take to meet those? Cappia: For 20 years we have been performing visual inspections on 100 percent of all bag chambers to detect particles, and for critical applications where single-use products are used to produce a final drug product, we inspect the full assembly. Every week, we also monitor subvisible particles, bioburden, and endotoxins. Extractables and leachables are more complex, so we have established partnerships with our film, resin, tubing, and connector suppliers to have access to resin formulation and extrusion process information to characterize potential extractables. We have taken all the key components used for making our single-use assemblies (over 300) and tested them using worst-case conditions to generate data on extractables. We currently provide extractable guides for each component, so we have guides for bags, filters, connectors, tubing, and so on. With this information, and with the software we’re developing, we will supply an extractables guide that is specific to an assembly because our customers are not just using the bag, tubing, and filters separately; they are using a complete single-use system. In the future, we will also assess our customers’ processes (for example, fluid properties and process conditions) to generate a process-related extractables report. With this improved approach to extractables testing and reporting, we’re simulating the potential leachables in the final drug product, which will make our customers’ validation procedures faster and cheaper. Pearson: Which industry groups do you work with to keep up with changing guidelines? Cappia: We work with regulators when possible and also with standards organizations. For extractables and leachables, we work with ELSIE (The Extractables and Leachables Safety Information Exchange) and use the BPOG protocol for extractables data on filters and bags. We also collaborate with the ASTM (American Society of Testing and Materials) and DECHEMA (Deutsche Gesellschaft für Chemische Technik und Biotechnologie) working groups looking at the so-called “fate” of extractables. In these studies, DECHEMA studied a standard bioprocess using clarification, crossflow, chromatography, and sterile filtration, showing that the majority of extractables from single-use plastics disappear during the process. This indicates that leachables in the final drug product are not an issue. Pearson: Automation is also key. What are the challenges of automating single-use technology, and how are you addressing them? Schlack: Many of these systems are built from scratch, so customers often have to do software coding, which can take several months. Integration is a problem because customers usually have trouble connecting custom engineered single-use equipment to industrial DCS, MES, and PAT systems. There is also the challenge of predictive maintenance when you have custom-built systems. We wanted to address these challenges simultaneously. Based on Siemens components, we have created our new automation platform that enables us to configure wetware, hardware, and software without customers’ needing to do any software coding. We will first introduce our new automation platform to our FlexAct systems. Each unit is designed and programmed to run six different unit operations in upstream and downstream processing on a discrete platform. It is also possible to run different volumes with FlexAct. We believe this introduces the flexibility needed to work with multiple different drugs. The new automation platform includes preinstalled recipes with phases and parameters that can be easily adapted, saving a tremendous amount of time. Moreover, with the predefined application software based on ANSI/ISA-S88 industrial standards for batch processing, we enable an easy interface to higher level control systems such as DeltaV, Siemens, and Allen Bradley, so this is truly a “plug and play” platform. Using our automation platform, we expect to reduce implementation time by tenfold. This new platform will allow us to introduce remote access software service in the future, and we are working on predictive maintenance packages. Pearson: You mentioned your collaboration with Siemens and, in 2018, you also announced a partnership with Repligen. What does that mean for your customers? Schlack: Intensified processing will play a major role in single-use commercial manufacturing. The ATF tool from Repligen is part of that and is not only incorporated in the ambr 250 high-throughout perfusion parallel bioreactor system, but also will be in our new BIOSTAT STR bioreactor that is fully configurable for industrial standards and will be controlled by our new automation platform — similar to the FlexAct unit. Customers will be able to click on an intensified process package, and this will come with all the necessary components, such as our single-use biomass sensor, ATF tool, and smart pinch clamps as a fully qualified design space, plug-and-play assembly, which is unique in our industry. Pearson: Can you define what product integrity means to Sartorius and tell us a bit about your work on integrity science and testing? Cappia: Integrity is about maintaining complete closure of our single-use systems. This is obtained applying quality by design (QBD) principles and developing integrity testing science and technology. Quality is not just achieved by testing; robustness is embedded in the product design and manufacture right from the start. Our Flexsafe® film is a perfect example of quality by design. We addressed the critical process parameters, which conferred strength and flexibility to the film, and put together a design space with our film extruder. We performed more than 3,000 tests to check and validate the robustness of Flexsafe film. We tested the complete assembly for leakage using the ASTM test for liquid shipping, which is the most stringent in the world. Once quality by design is in place, we can look at integrity-testing science, but here there are many unknowns. Unlike the filtration world, where everyone knows that the pore size for a sterilizing-grade filter is 0.2 μm, there is no clear answer about what size of defect in a single-use assembly would cause a leak or microbial ingress. Despite the many studies on capillary tubing, there are no data on films or assemblies, so we are creating this scientific knowledge by developing testing to determine the size of the maximum allowable leakage defect. We laser-drill calibrated holes in films from 1 μm to 100 μm first, then test the films for leaks or microbial ingress using an aerosol challenge. By doing this, we have determined that the maximum allowable leakage limit (MALL) under worst-case processing conditions is 2 μm. Now we are developing integrity testing technology to detect 2-μm defects. Pearson: How do you work with different plastic suppliers to ensure quality and consistency? Cappia: We work closely with our resin and film suppliers to establish resin specifications and design spaces for extrusion. This gives us robustness and consistency in our film technology. We also control our entire manufacturing process, including the welding and assemblies. Pearson: What performance data do you have to support your integrity testing? Cappia: We test 100 percent of our 2D bag chambers using a pressure decay leak test with a detection limit down to 40 μm. This detects between 400 and 500 potential leaks per million bags, which we discard so they do not reach our customers at all in the first place. We now use our new helium supply integrity testing with a detection limit of 2 μm on 100 percent of our critical single-use products used for drug substance and drug product process steps. This method will be used to test not just the bag chamber, but also the complete assembly. The initial data from this test show that we will discard an additional 400–500 bags per million of potential leakers. We aim to reach an integrity assurance level of 10-6, which is the sterility assurance level our industry is looking for. We also offer integrity testing at point-of-use. So for critical applications, we recommend that customers perform this test with a detection limit of 10 μm because we know that during shipping or incorrect product handling, the type of leaks that are created are much larger than 10 μm. 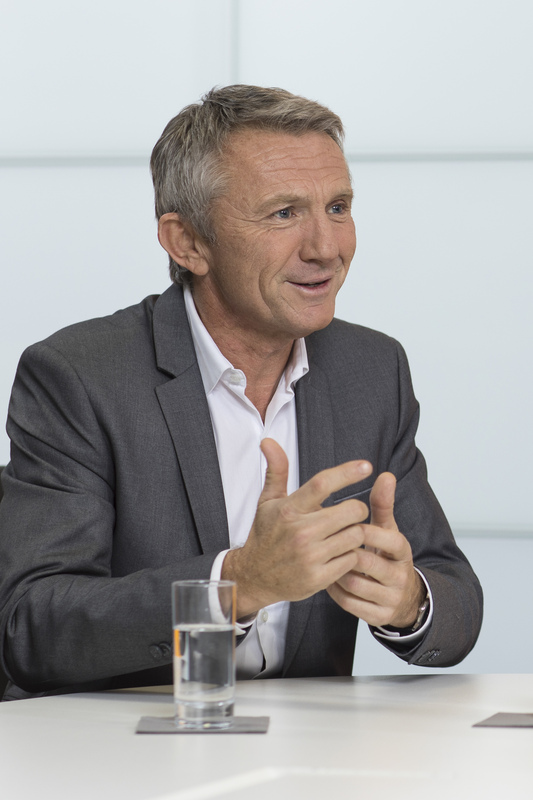 Pearson: A further aspect of SSB’s new campaign is focusing on the supply chain. What should manufacturers look for in a single-use supplier? Schlack: First, I recommend that they look at capacity because that influences delivery and reliability; then they should look at the contracts that manufacturers have signed with their suppliers. If a supplier doesn’t have a resin specification or an established design space that is contractually guaranteed, how can customers manage change control? It’s impossible! Pearson: Why do biopharmaceutical companies need consistency and delivery assurances? Schlack: If we don’t deliver, in the worst case, it could shut down a facility and cause drug shortages. Also, when the single-use contact material is not under control, a manufacturer might see changes in its process. The extractables and leachables profile might change, for example, which could cause interactions with the drug. That company could lose a complete batch, which can be very expensive. Pearson: How do you manage your supply chain to ensure you are delivering that consistent quality, and what assurances do your customers have about the continuity of your supply chain over the next few years? Schlack: For standardization, we work with our suppliers very closely to define the design space and have developed functional units within which everything is contractually ensured. For film, we guarantee a minimum of four years’ unchanged formulation, and for other components, such as membranes and tubing as well as for our other new platform components, we are guaranteeing a minimum of two years’ change notification, something which our industry has not seen before. With respect to capacity, we are investing heavily in our manufacturing infrastructure. In 2017, it was ~140 million euros and in 2018, it was ~180 million euros in projects, including new buildings, machines and software, and so on. In the future, we will focus on a high runner line with more automation, with which we will produce large quantities and additionally have a more flexible line for small runs and prototypes. This gives customers security as they move into single-use commercial manufacturing. Pearson: You are shipping your products globally; how do you secure the supply chain while your products are in transit? Schlack: We have improved the robustness of our single-use assemblies by establishing resin specifications and the design space, and we conduct the most stringent tests on the market, such as ASTM shipping tests. Also, we have developed new technologies, such as our MaxiCaps® MR single-use filtration systems. In the market today, there are very complex manifolds with six or seven connectors of up to 30 inches in one assembly. With MaxiCaps MR, there are two connectors, one in and one out — that’s all. Finally, we have validated all our assemblies and packaging and have hired engineers to design packaging that protects our equipment in the best possible way. Pearson: Single-use technology offers many advantages and is now being widely embraced by the biopharmaceutical industry, but where will it make the biggest impact in the future? Cappia: The main challenge for our industry is making more drugs available and affordable because millions of children are still dying of infectious diseases for which vaccines exist. Single-use technology and process intensification are ways of addressing these challenges. Introduction of single-use equipment will continue to grow because the era of large blockbusters is behind us. We now are seeing smaller-scale drug manufacturing with new molecules, cell and gene therapy involving very small process steps, and a trend toward partnering with more contract manufacturing organizations. All these processes and companies will require more flexibility, high quality, and productivity improvements. We believe that single use will be a strong contributor to addressing the challenges of making more drugs and making them less expensive. 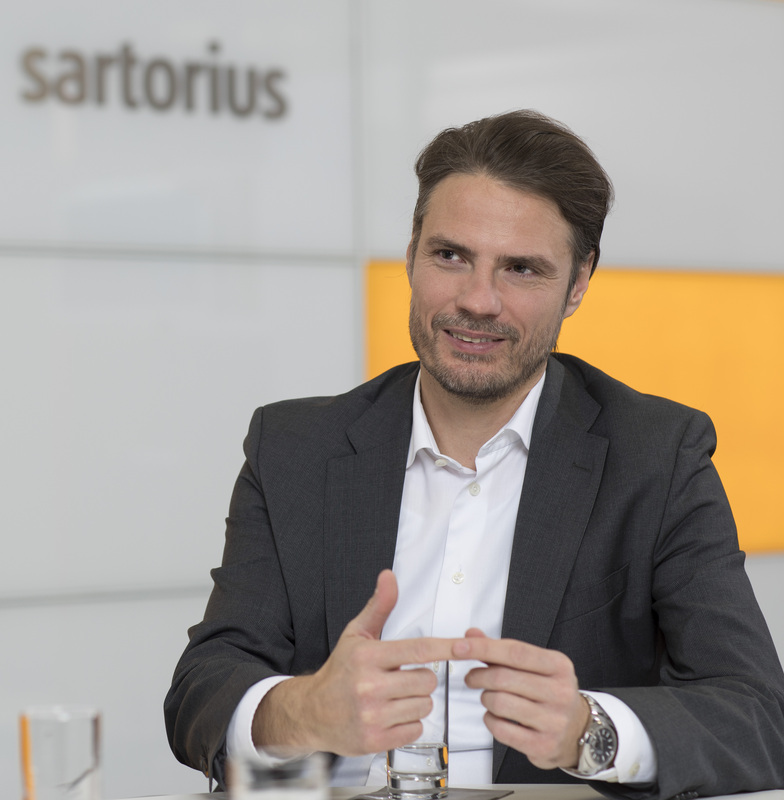 Pearson: Where do you think Sartorius’s single-use technology could help in the future? create a commercial design space, and now, with our new automation platform, we can enable all the unit operations to work together. We have invested in single-use real-time sensorics such as spectroscopy. We have also invested in smart software tools; for example, our scale conversion tool can create a digital twin with which users will be able to transfer formulas from ambr mini bioreactors at the press of a button to their process-scale BIOSTAT STR bioreactors. This will make a huge impact, and we’re very excited to bring these technologies to the market. For more information about comments in this article or questions please contact Stefan Schlack, Head of Bioprocess Marketing (stefan.schlack@sartorius-stedim.com), or Jean-Marc Cappia, Head of Segment Marketing Vaccines (jean-marc.cappia@sartorius-stedim.com) both at Sartorius Stedim Biotech. To view the complete VIDEO and listen to an AUDIOCAST of this interview, please visit http://bpi.bioprocessintl.com/ssb-single-use-manufacturing-series.